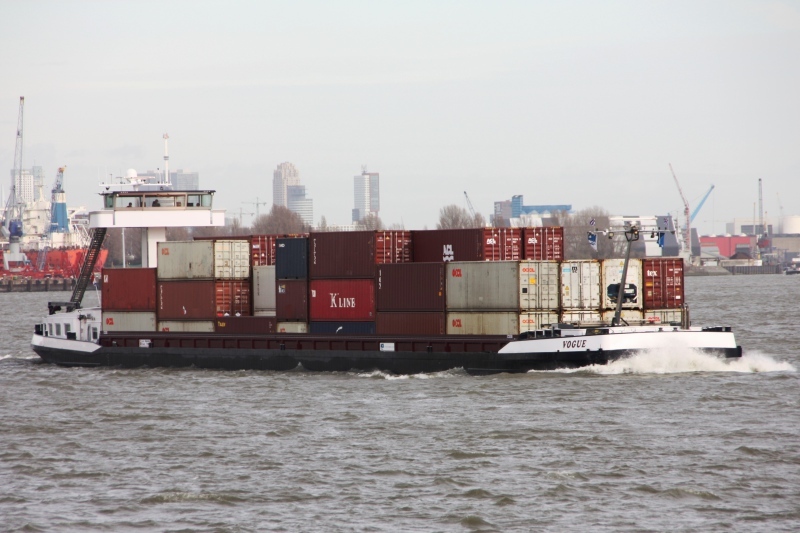 Inland dry cargo ship VOGUE spotted near Vlaardingen, March 17th., 2017. LxBxd: 109,96m x 11,45m x 3,32m - 2.765 tons displacement. Number of containers: 208 TEU.